Taipei Zoo is under the supervision of Taipei City Government's Department Education. It is defined as an institution for social education; using diverse methods to accomplish this function is the main task of Taipei Zoo. The activities and educational programs are divided into three categories: regular in situ programs, special outreaching programs and sustainable environmental education. Routine in situ programs include the following: providing guided tours for the general public, supporting kindergarten and grade school visits, sponsoring summer and winter camps, installing multimedia and bi-lingual services, and publishing pamphlets and magazines. Special out-reach programs are scheduled on national holidays and/or on special topics. The main purpose is to convey conservation knowledge and promote environmental awareness. Sustainable environmental education programs involve demonstrations of resources recycling and reuse, water saving strategies and construction of energy-saving buildings. Volunteers are stationed throughout the Zoo to provide information on wildlife, conservation and the environment. During weekends and on holidays, special programs are provided in the Nocturnal Animal House, Library and education centers. Publications of the Zoo include: tour guides and pamphlets, the Zoo Research Journal, Zoo Magazine and Volunteer Monthly, and a Volunteer Discussion group on the Internet. Eco-House - Saving Our Energy! "The three little pigs" is a story familiar to everyone. The wooden house, built by the eldest pig and the thatched house built by the next pig were both blown down by the "big bad wolf". The three pigs living together in the brick house were safe and did not fear the wolf. Although the house is strong, does it conserve water and energy? 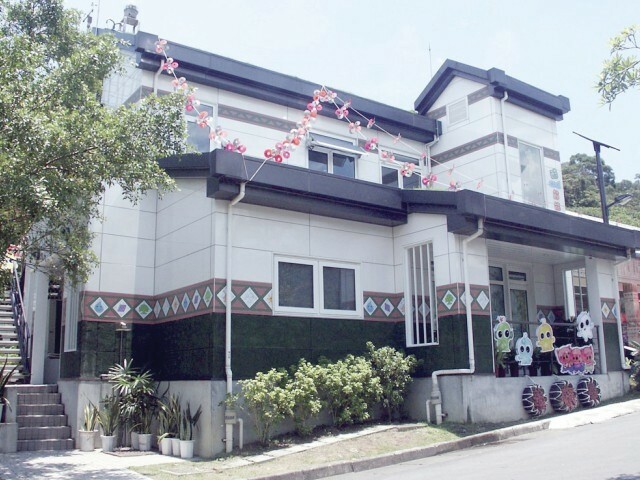 Taipei Zoo's energy conservation demonstration house, the "Eco-House" built using materials with energy-saving properties, was opened in 2004. Through the use of interactive game-like exhibits, visitors will gain a deeper understanding of the benefits of energy conservation, available materials and products, and their applications in daily life.